Irvine police investigators on Wednesday submitted evidence to prosecutors who will determine whether to bring charges against Fullerton Police Chief David Hendricks and one of his captains, who were allegedly involved in a disturbance at a Lady Antebellum concert at the FivePoint Amphitheatre last week. Hendricks, the former deputy police chief in Long Beach, and Fullerton police Capt. Thomas Oliveras are accused of battery on an emergency medical technician, according to Kim Mohr of the Irvine Police Department. Police were called to the Irvine concert venue at 9:42 p.m. Friday. Two EMTs were treating Hendricks’ wife when some sort of altercation broke out involving Hendricks and Oliveras, according to Mohr, who said both men were kicked out of the amphitheater. Police reviewed audio recordings of the conflict, but have not retrieved any video of it, Mohr said. Hendricks, who has been Fullerton’s police chief for just over a year, has been placed on paid leave, as has Oliveras. Capt. Bob Dunn, once the public information officer for the Anaheim police and fire departments, was appointed to serve as acting chief. 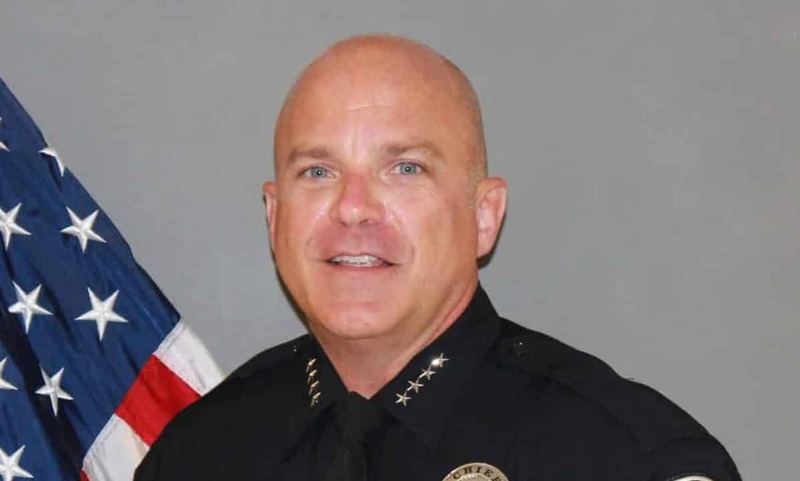 Hendricks started his law enforcement career in Long Beach in 1994 and was a deputy chief with the Long Beach Police Department before being named to his current post in July 2017. He succeeded Dan Hughes, who left for an executive security job at Disneyland. Hughes left under his own cloud when a former Orange County district attorney’s investigator alleged that the ex-chief sent a police sergeant to give then-City Manager Joe Felz a ride home after he crashed his car into a tree on Nov. 9, 2016. The former city manager later took a plea deal on a “wet reckless” count and was sentenced to 40 hours of community service.